It is the rare individual that recognizes a need in their community and immediately takes action to find a solution. In those unique instances where a response to a community crisis is given, it is unusual to find the legacy of an individual and an entire organization so many years later still answering the call of that need. Catherine Kennedy has forever left her imprint on the community with the founding of Leeway. 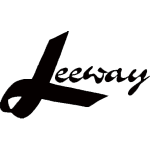 Leeway was established in October 1995 and still continues to help those living with HIV and AIDS today. -To pay by PayPal or Credit Card for your Special Sponsor Opportunity, please click "donate" and enter your donation amount. -To pay by check, please download the form and follow the instructions. If you would like to purchase a brick, but do not have anyone you would like to dedicate it to, please feel free to leave it blank. Leeway will assign a name to your brick of a deceased Leeway resident so that their memory can forever be memorialized. Purchase of a brick can also be done by groups that wish to contribute together and use each line given on the brick for individual recognition.